I'm desperate in love with these shorts (and shoes). 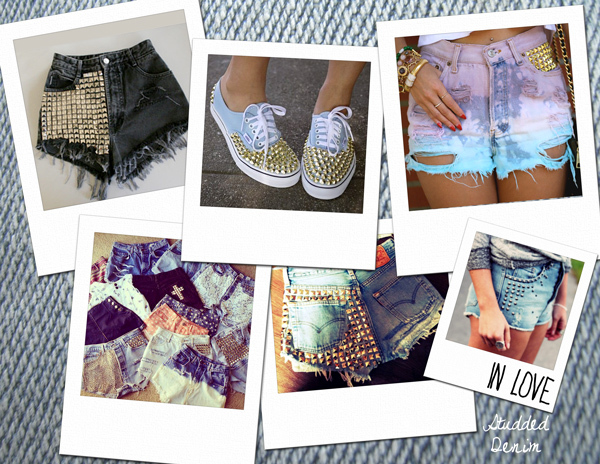 I'm searching for my own studded shorts, but I can't find the right one! (Anyone tips?) I guess I've got to be creative and make one myself. So first I need a shorts (black or blue?) and then some metallic colored studs. Ohh and I finally bought my second L'oreal Rouge Caresse lipstick! I already own the Aphrodite Scarlet (06) and I wanted the Cheeky Magenta (07) for ages, but it was sold out everywhere. It's on discount at Kruidvat, only €10,-!